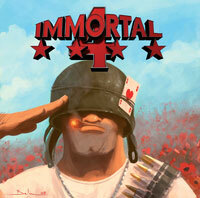 The Double-CD Immortal 4 is the 4th strike of the popular Immortal series. Once again producer Jan Zottmann managed to gather the celebrities of the golden homecomputer age of the Commodore Amiga and to let them re-arrange the unforgettable music of legendary computer games using all the latest studio technology. The catchy melodies once played by a handful of 8 bit samples now experience their rebirth in a colorful mixture ranging from a complete rock band to the fully-fletched synthesizer-setup. 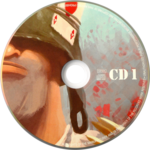 The two filled-to-the-brim CDs of Immortal 4 feature no less than 35 newly arranged songs (about 158 minutes) of Amiga videogame music. Most of them have been created by their original authors - trademark of the Immortal series. We couldn't even stop them to play live-instruments, you'll become earwitness when Al Lowe himself (Leisure Suit Larry) is playing the saxophone, Jon Hare (Cannon Fodder) being back at the microphone and Dave Govett (Wing Commander) hitting the drums. Numerous classics have been rearranged, such as Lemmings (Tim Wright), Turrican 2 (Chris HÃ¼lsbeck), Flashback (Jean Baudlot), Gauntlet 3 (Tim Follin), F17 Challenge (Nicola Tomljanovich) and many more. 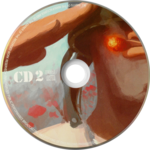 Exklusive new versions were contributed by well-known demoscene musicians, such as Romeo Knight and Jogeir Liljedahl.